MamaBreak: Top 5 Places . . . Minneapolis! Minneapolis is one of our favorite places to go as a family! There is so much to do, but often visitors do not know about these many, many places. The things you hear about in Minneapolis are the Mall of America . . . and the Mall of America. There is so much to see and do, and I cannot wait to share! Sea Life: In the lower level of the Mall of America is an Aquarium. 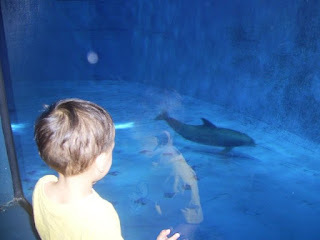 There are petting places, a moving walkway that moves you through the aquarium, and plenty of places to stop and play! It is a must see at the Mall! Lego Store: Have a Lego fan? You NEED to go to the Lego store! This is right off of the amusement park, so it does not require going into the mall itself. It is super FUN and has many places to build and play with Legos! Nickelodeon Universe: Formerly Camp Snoopy, Nickelodeon Universe features great rides for all ages! We do not always ride the rides, but we always CHECK THE SCHEDULE. You can often have a meet and greet with some of your favorite Nick characters! The last time we were there we got to meet the BackYardigans! what you are looking for, then you need to drive down the rode to Shakopee, MN! This amusement park has been a part of MN since 1976, and most people from the area will tell you it is a part of their lives (I know it is a part of mine!). My first visit was when I was just 3! There are rides for the smallest to the largest kids, and people of all thrill seeking adventures! This is an all day event, and is an amazing Amusement Park! It is a MUST SEE if you are in Minneapolis. 3. Renaissance Festival: This amazing festivals runs during the weekends from August 18th- September 30th. It has food, games, and even rides (operated by hand, of course). There are a lot of shows and entertainment throughout the festival, and dressing up is an option (not required). Make sure to bring plenty of sunscreen and comfy shoes! Tons of funs for adults AND kids, there is something for everyone! 4. Twins Game! If you are in town during baseball season, then you need to see a Twins game! Live baseball is a family event! Don't forget to partake in baseball food while you are there! If you are in Minneapolis during the football season, then skip over to Wisconsin to catch a Packers game! Just joking Vikings fans! 5. The Zoo: Want to see an argument similar to Vikings vs. Packers? Then ask anyone that lives near Minneapolis which zoo is the one you need to see! From the link and pictures, Minnesotans can clearly see which one I enjoy, but there are pros and cons to each. Como Zoo is free, smaller, and also has a carousel and other smaller rides. It is part of a park as well. We go to the Minnesota Zoo because it has more animals. Make sure you visit for the shark feedings, Scuba demonstration, Penguin feeding (my personal favorite), and ride the Monorail! There is a "family farm" open from Spring until Fall, and there is also a splash park in the summer (so bring suits for the kids!). Minnehaha Park-- if you are a park family (we are!) this is the one not to miss! I love all your informative posts! It looks like a great place to vacation! WoW Sounds like a lot of great places for families! I would love to visit the Mall! Ok and some of the other sites as well, great post! Never been there before sounds like fun! I would love to go to the mall someday! I hear it is amazing! I really want to go there some day it looks and sounds so fun. 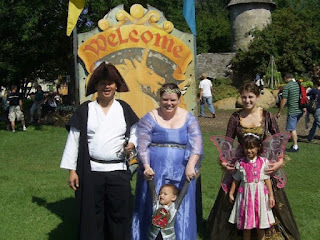 I love going to the Renaissance Festival when it travels in my area! It's a ton fun. These are some really great places to visit. Sounds like there is a lot of fun things to do there! I would love to visit! It is a dream of mine to make it to Mall of America one day. Maybe I can convince the hubby since there is a Lego store!